Giving 16-year-olds the right to vote before the introduction of civic education was a rushed decision, the University Student Council (KSU) said on Monday. Speaking in front of parliament, KSU president Robert Napier said while KSU was in favour of Vote 16, civic education needed to accompany the law if it were to be introduced. He said that having consulted with student organisations, the council recognised that the current educational framework did not adequately prepare youth to vote. It was alarming that there were no mechanisms that taught political tolerance, critical thinking and cultural education to students, social policy officer Gabriella Sutton said. The students also launched a new platform that brings together members of the KSU and council members from De La Salle College, St Aloysius college and the Junior College council. 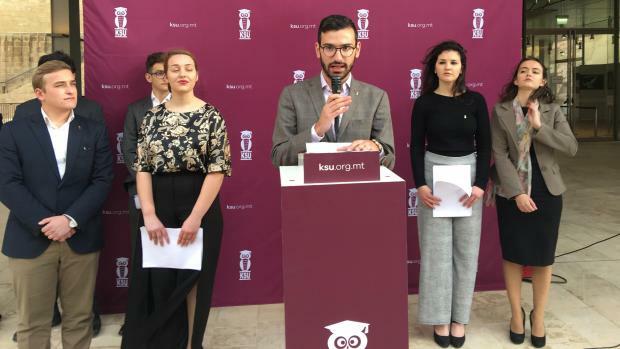 Speaking at the event, Parliamentary Secretary for EU funds Aaron Farrugia said discussions to introduce civic education and educational campaigns are ongoing. The KSU document in full.